A week from today (on May 7) is the Big Surplus Sale at the Warehouse. A week from yesterday (on May 6) the Surplus Website will be disabled and won’t become available again until the surplus inventory is up-to-date. 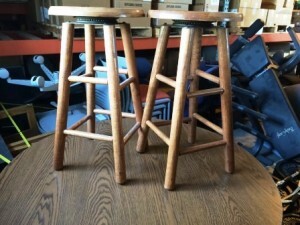 In the meantime, check each category for things that you may have missed, for example- these stools that swivel! Place your orders prior to May 6 so that we can HOLD your items that were purchased online.